Everyone advertises saving hundreds of dollars on auto insurance but what kind of car insurance prices are really available? We don’t hide behind fake numbers. We can insure you if you have insurance or not. Do you collect tickets like some people collect baseball cards? Do you need an SR22 to get your license back? Do you just want to insure your license so you can drive any car? We can help you. Today! Here are some real policies we wrote this past week. ‘Josh’ from Kennewick is a 36 year-old single guy who needed an SR-22 for a DUI he received a while back. He already had insurance to cover his cars at another carrier but did not want to have them file the SR-22 because that company is ‘Preferred’ and may cancel his insurance if they find out about his DUI. He chose to get a broadform insurance policy that covers him for any car he is driving. He was able to get this great rate because he qualified for a number of discounts including the prior insurance discount, homeowner discount, and paid-in-full discount. ‘Maria’ is a 39 year-old married gal from Pasco chose to buy a broadform policy as well. She did not qualify for any discounts except that she paid in full. A broadform policy is perfect for someone who wants to be sure they have insurance when they drive any vehicle. ‘Juan’ is a 32 year-old guy from Kennewick who wanted just liability insurance on his 2001 Plymouth Neon. With no tickets or accidents, even without prior insurance, Juan is able to get very reasonable insurance rates. Not all policies are so cheap. Some of us are just unlucky. ‘Ivy’ is a 19 year-old gal from Kennewick who, along with her slightly older boyfriend, have collected 3 accidents and a number of tickets between them. With comprehensive and collision required on their new car and liability on the older one, insurance was not cheap but we were able to get it for them. In the next 6 months one of the accidents will be over 3 years old which will lower their rate and both of them will have had birthdays which will also help. Also, with 6 months of prior insurance we will be able to re-shop their insurance and may be able to find another one of our companies that will offer them better rates. 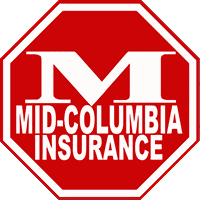 Although the above car insurance policies happen to be from the Tri-Cities, we write a large number of car insurance policies for folks in Yakima and all over Washington State. We even wrote a policy for someone in Nooksack, WA, just south of the Canadian border. We also wrote a couple of motorcycle insurance policies and a mobile home policy for clients. Notes: Names have been changed to protect the privacy of our insureds. All prices are the rates charged by the insurance company. The agency also charges a one time fee at time of application.